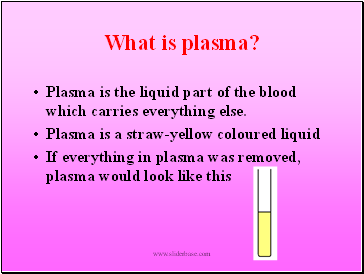 Plasma is the liquid part of the blood which carries everything else. 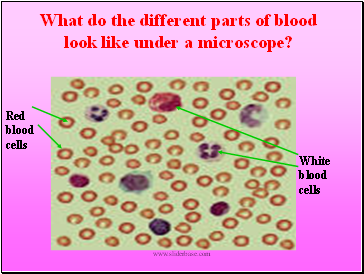 What do the different parts of blood look like under a microscope? 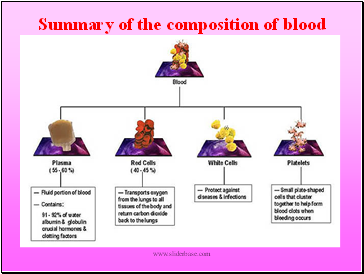 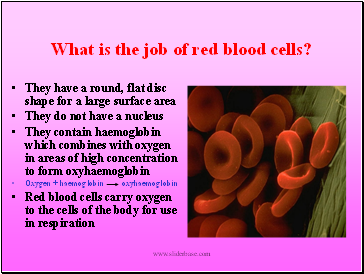 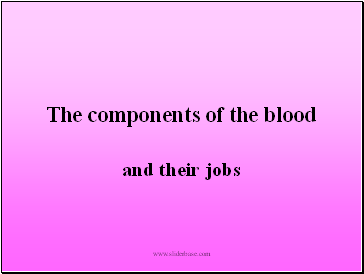 What is the job of red blood cells? 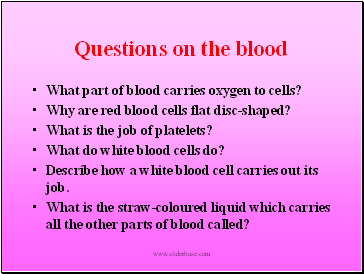 What part of blood carries oxygen to cells? 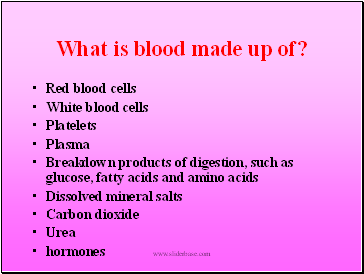 Why are red blood cells flat disc-shaped? 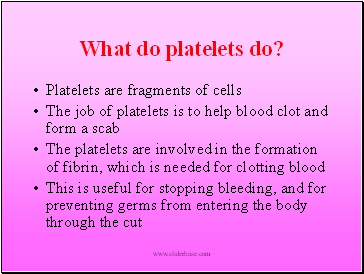 What is the job of platelets? 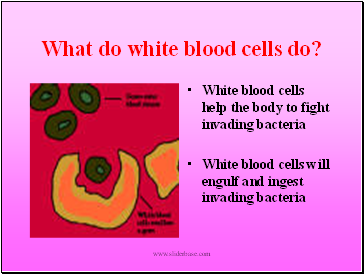 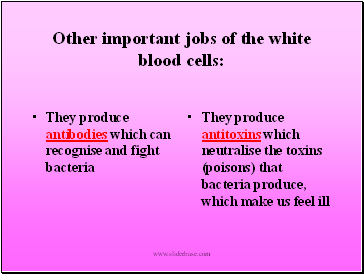 Describe how a white blood cell carries out its job.